As per my accordingly joint family is better to our children because they taught a many kind of good things by the grandparents at free of cost and we can fun with each other in the house nobody fell badly. i think both family is good but i would prefer joint family bcz when yu live in join family yu will teach good manner and how to survive in yur live .yu get experience free of cost.so according to me joint family is batter than nuclear family. 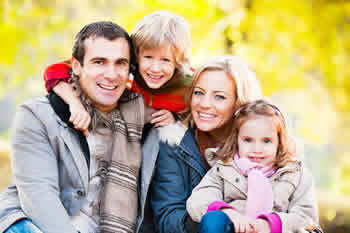 I think joint family give the good manners and all problems solutions easy way and the very neccessery of our good life.good respected manners and he give us historical or indian culture because joint family each persons have many type experians .he gifted all experians free of cost with out any hard work.therefor joint family is very usfull for our life. both has its own good quality and bad quality so both are same. only thing is your choice that matters. I will prefer nuclear family because there r lot of freedom and less quarrel. In joint family high erning member would like to our children education for costly school bt he doen't always doesn't want to prefer children of any other family members for education in high costly school. Joint family is the best. However, people work in various places and the luxury of joint family is not always possible. Also, the elders of a joint family should have great wisdom for it to thrive. The pillars of a joint family are elders with wisdom.